La Fiesta slots probably has one of the simplest online slot game designs ever. What is mostly visible on the screen as the reels are spinning is the tile rooftop of the place where the party will be raging. Rest assured, the party will be more than worth it-this is a gambling game in which the stress is almost entirely on the earnings and the surprises. 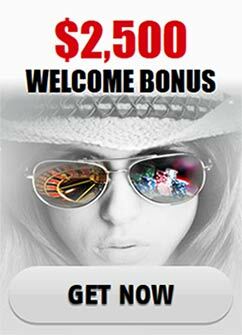 It offers the classic set up of 5 reels and 25 paylines with solid symbols, bonus rounds and a great jackpot of 10,000 coins. If the game falls short of visual style, it more than makes up for it with the tremendous financial profits it could present players with provided they are lucky enough. La Fiesta Slots’ coins can carry a value between 1 cent and 10 dollars with a maximum bet of 250 dollars and the majority of its symbols pay from left to right. The wild symbol of the Fiesta is the Piñata. It has the capability to replace the rest of the symbols in the game. There is a single exception to that rule and it is the scatter symbol, which in this game is represented by a rose. When the Piñata enters a winning combination and a payout is awarded, that particular prize will be multiplied by two. There are more surprises coming from this symbol though. If you manage to land on the reels five of the Piñata symbols you will acquire the spectacular award of 10,000 coins but as you might guess this won’t be happening in every other spin. The cherry on top of the cake is the fact that the game’s wild symbol can also unlock an entire bonus round of its own. This is possible if the player receives at least three of the Pinata symbols on the reels. The scatter Rose will be able to pay players if two of the scatter flowers grow on the reels. Furthermore, this symbol is capable of multiplying your bet and if you get a cute little garden of five scatters you will receive a multiplier of 250. The special bonus that can be accessed by obtaining at least three wild Piñatas will open up a new screen in the game and you will see four piñatas, which you will be able to bust. After you smash them, awards will be given in the form of multipliers the biggest one of which could be 250. Then you will move on to the next level of the bonus game where you will swing that stick some more. Three levels of piñata smashing are possible in this special bonus level. This superbly entertaining feature will meet its end when you happen upon an empty piñata so choose wisely. Spectacular is not the right word for the game’s look and the animation isn’t breath-taking; both of these adjectives do apply, however, to the numerous paths you can take in this game as you pursue financial wealth.